The Empire State Building. The George Washington Bridge. The United Nations. The Woolworth Building. 30 Rock. The Seagram Building. Lincoln Center. The Waldorf Astoria. 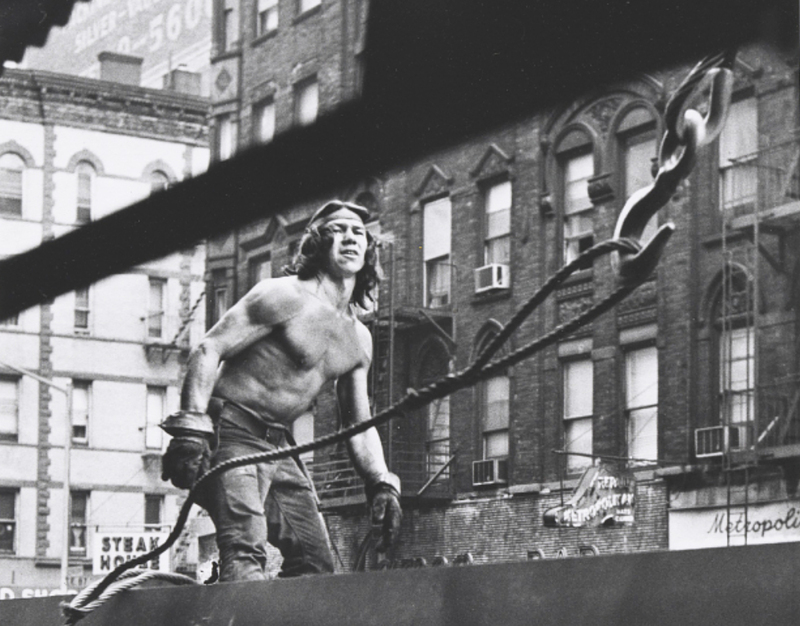 Virtually all of New York’s most iconic structures were raised in part by Mohawk Native American ironworkers. 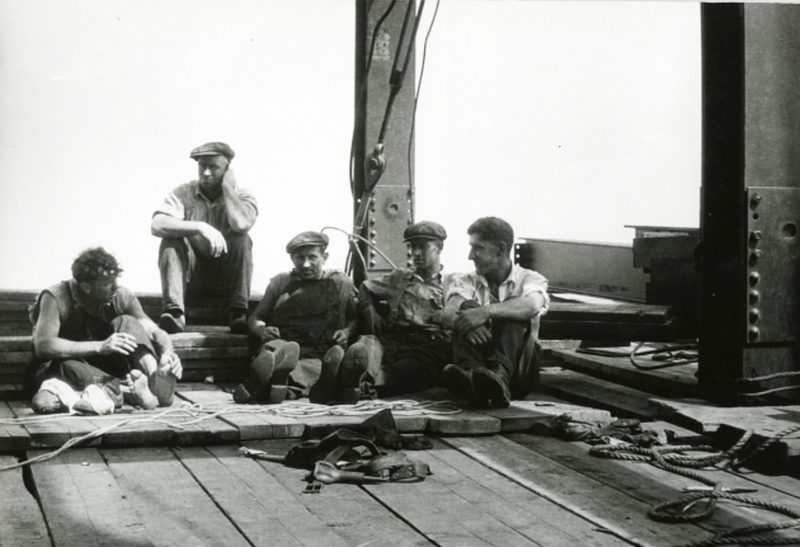 Since 1916, when Mohawk men made their way to New York to work on the Hell Gate Bridge, ironworkers from two Native communities, Akwesasne (which straddles Ontario, Quebec, and New York State) and Kahnawake (near Montreal), have been “walking iron” across the city. 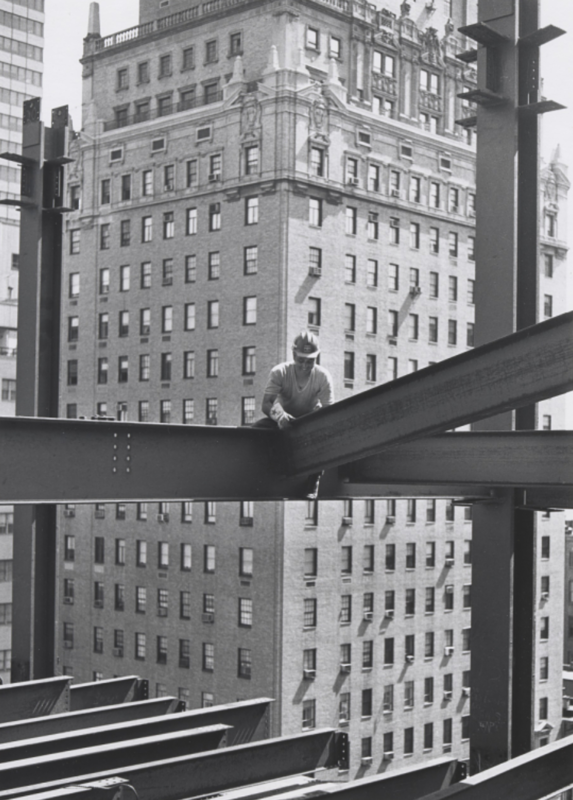 In the 1920s, New York City became the place for walking iron, as the lean skeletons of New York’s Art Deco skyscrapers first began to rise over Manhattan. But, then as now, the U.S. Immigration Service followed ill-advised policies that were detrimental to the nation. In this case, Immigration officials tried to deport a number of Mohawk ironworkers who had come down from Canada on the grounds that they were illegal aliens. But, in 1928, the third circuit court of appeals ruled in Diabo vs. McCandless that there was “no justification for the arrest and deportation” of Mohawks, because as members of a Nation within a Nation, they were free to cross the border between the United States and Canada that passed through their own tribal lands. With the right to free movement secure, Mohawks began to congregate in New York. By the 1930s, a tightknit Mohawk community was thriving in what was then known as North Gowanus, and is now Boerum Hill. The enclave flourished until there were over 800 Mohawks living within 10 square blocks of the Brooklyn Local 361 of the Bridge, Structural and Ornamental Ironworkers Union on Atlantic Avenue. 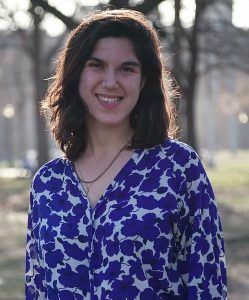 The community even earned the named “Downtown Kahnawake,” as Ironworkers “commuted” between Downtown Brooklyn and the Kahnawake Reservation, making the 12-hour trip on weekends or vacations to visit family and friends. In Downtown Kahnawake, Mohawk community hubs included The Wigwam Bar at 75 Nevis St., which sported a sign’ “The Greatest Ironworkers in the World Pass Through These Doors,” and stocked Montreal beers to suit the tastes of its Canadian clientele. The Wigwam functioned as a post office, travel agency and employment office for ironworkers. Around the corner on Atlantic Avenue, at The Spar Bar and Grill, you could tuck into Mohawk Sunday Steak Dinner. Speaking of Sundays, The Cuyler Presbyterian Church at 360 Pacific Street may have been the only Presbyterian Church in the United States to have conducted monthly services in Mohawk, and to have sponsored a yearly Pow-Wow. By the late 1950s, and early 1960s, the Mohawk community in Downtown Kahnawake began to dwindle. 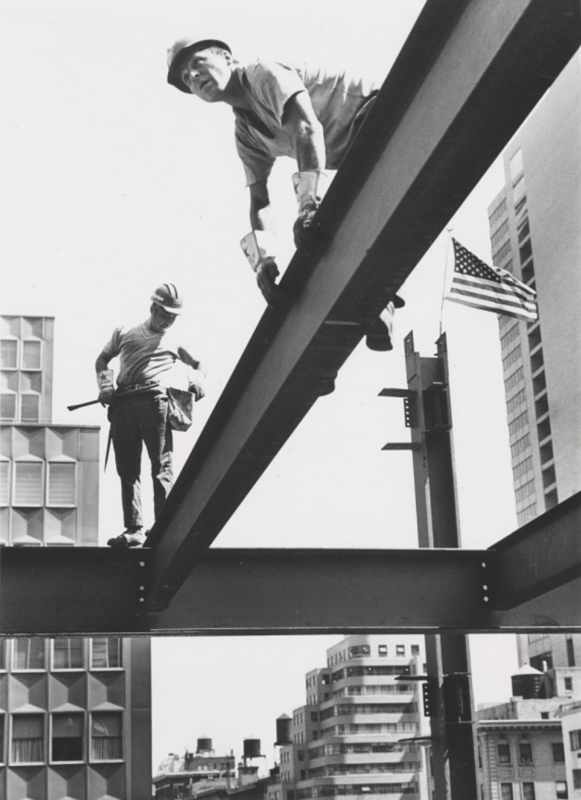 As the building boom that had initially drawn the ironworkers to New York began to dissipate, they started “booming out” to other cities looking for construction work. 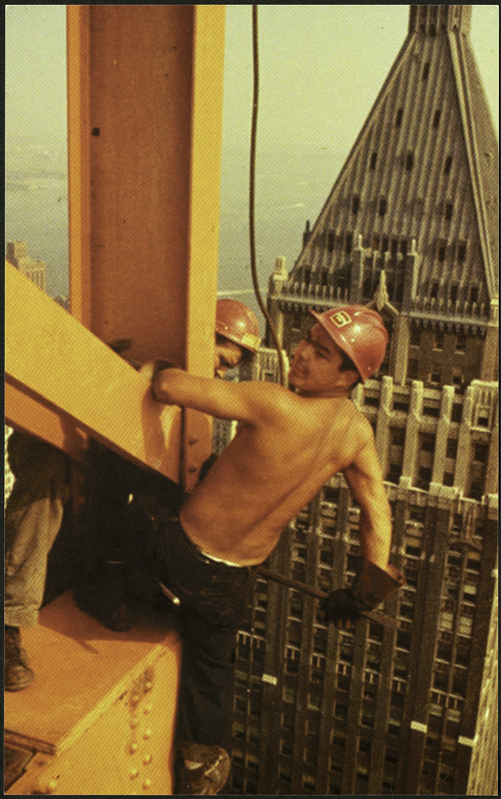 Then, when the completion of the New York State Thruway in the early 1960s cut the commute from Brooklyn to the Kahnawake reservation down from 12 hours to 6, ironworkers ventured to New York solo, leaving their families on the reservation, and visiting on weekends. 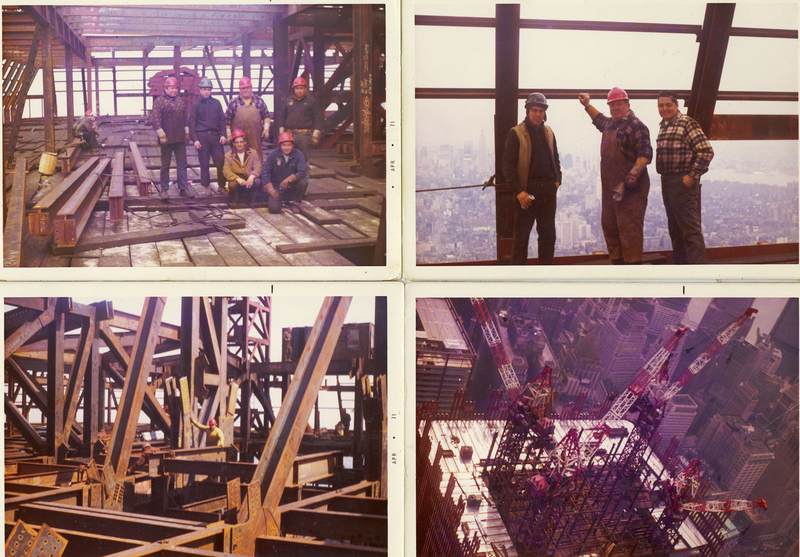 Mohawk Ironworkers on the World Trade Center, early 1970s. Photo courtesy of Peter “Doc” Alfred/The Sonic Memorial Project. 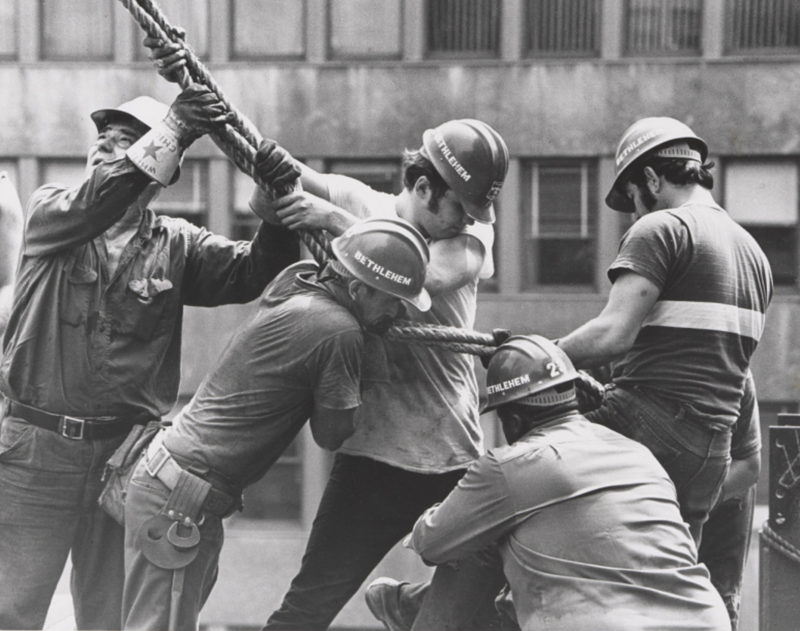 But, Mohawk ironworkers still put their stamp on the city. When rumors circulated that a new pair of towers, which would be the tallest in the world, would be raised in New York, Mohawk men rose to the challenge and played a key role in the construction of the World Trade Center. The ironworkers signed the last beam, raised it on the South Tower, and topped out the job. Ironworker apprentice Steve Cross (Mohawk, Kahnawake) at the AOL Time Warner Building in 2011. Via Smithsonian. 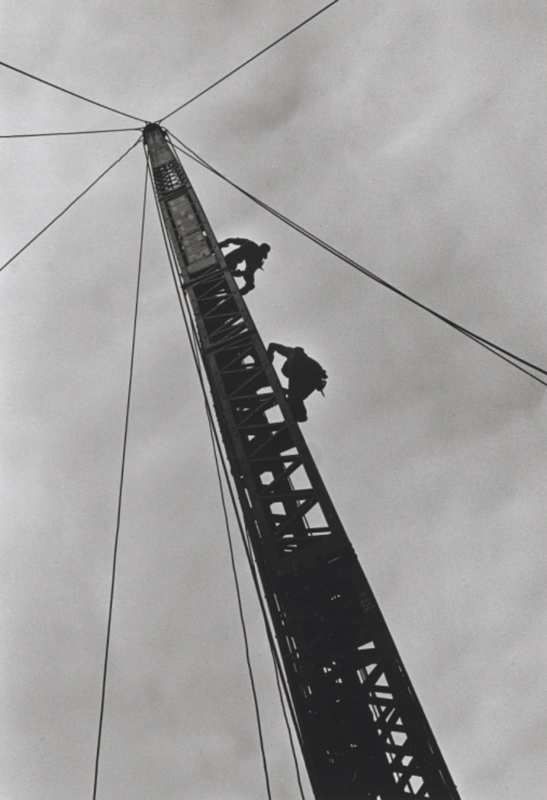 Fittingly, Mohawk ironworkers also helped build the Freedom Tower; in 2015, Silverstein Properties even held an exhibit at 4 WTC called “Skywalkers: The Legacy of the Mohawk Ironworker at the World Trade Center.” Today, about 200 of the 2,000 structural ironworkers in the New York area are Mohawk. The history of Weeksville: When Crown Heights had the second-largest free black community in the U.S.